Microsoft SkyDrive is the name of the cloud storage feature offered by the Redmond based company and used by many Windows Phone owners. But thanks to a ruling in the U.K., Microsoft is going to have to change the name of the service. British Sky Broadcasting Group (BSkyB) successfully argued in a U.K. court that the use of the "Sky" name in SkyDrive infringed on the British broadcaster's trademark. 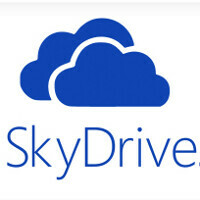 Microsoft has said that it will not appeal the decision, and BSkyB will allow the Redmond based software giant to continue to use the SkyDrive name while it transitions to a new one. Both sides refuse to comment on an agreement made by the two firms that includes an undisclosed payment from one of the companies to the other. BSkyB provides various television content to British television viewers through its Sky One, Sky Sports and Sky Movies channels. This is the silliest thing I've heard in a long time. Yeah you have guys nabbing every possible name and trademark and sitting on them, waiting for an unfortunate victim to take it... Because of this, sometimes you'll see the stupidest naming conventions for products/services just because of these trolls. Taken to extremes, BSkyB is going to sue anyone using the word sky. How long until the Terminator franchise gets sued for use of the term Skynet? This starting to look like Apple suing everyone under the sun for infringing its bullish*t patents. http://www.digitaltrends.com/international/forget-samsung-apple-now-suing-polish-grocery-store-for-infringement/ What do you think about that? This is so dumb. SkyDrive has been in use since 2007 and they're only now getting around to disputing it? I don't think UK folks are going to confuse the two! Will Mazda have to change its vehicle technology "SkyActiv" to something else? Will local weather discussions not be able to use the word "Sky" anymore? Unless BSkyB used "SkyDrive by itself, this should not be an infringement, in contrast to apple using Cisco's "iphone" and that Chinese company's "IPAD"
Yes, it is obviously bad if a company you hate does it, but fine if one you like does it. No double standard there. How long until the tech companies will become rich enough to do the "I'll buy your company and you'll just STFU so I can use this name, being it yours or not" ? I think MS has this kind of money, but they'd rather reach for an agreement, meh. But then, there's the EU antitrust commission which is a royal (pun not intended) pain in the lower back that loves to troll MS.
And there goes all that brand marketing money. Sky Drive was a great name. Now we may end up with Live Cloud Storage 2 Series. You forgot "8.1 RT HD." While I don't agree with this or like the fact that you can sue somebody for using a word as generic as "sky," BSkyB is apparently a huge company in the UK and they demonstrated in court that their tech support kept receiving phone calls from people using SkyDrive. People are stu-- "not smart." I don't like precedents being set that you have to cater to people like that, because then everybody starts becoming dependent and "less smart." It's bad for the education system (not challenging enough) and it's bad for consumers (higher costs to make things fool proof and provide extra support). bSkyB could easily want to launch some storage that is cloud based in the future like dvr or something so it seems reasonable to protect the name. They want to earn money from MS. I can't help but think some form of nepotism was involved in this ruling.